almáciga, OCast almástiga, Gr. masticha, L. Pistacia lentiscus, Ar. mástakā Eng. lentisk, mastic. It is an amber-colored sap resin tapped from the lentil bush (Pistachio lenticus). It is a native of the Greek island Chios, the birthplace of Homer. Some say it spread to Syria. From there, perhaps, it was taken Rome and eventually occupied the entire the Mediterranean Basin including France, Portugal, Spain, North Africa and Turkey becoming the most famous of spices. Although it still exists in Spain, especially in Andalusia among cork and holm oak trees, formerly it occupied more extensive areas where Andalusian olive groves have replaced them. It is a large shrub that slowly grows to 1-2 m. in height. The smooth leathery leaves are green all year around. Green or reddish flowers appear from March to May. Red berries, the size of a pea, appear in summer and when mature in the fall turning almost black. The bush resists drought but does not survive freezing temperatures. Since the time of the Egyptian pharaohs, the leaves and resin are the collected between July and September. To collect mastic, incisions are made in the large branches and the trunk of the bush. 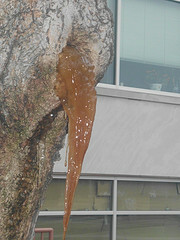 The sap falls on the ground into cloths laid out for this purpose. Then it is carefully washed to remove impurities that accumulate on the surface and stored. The resin is light yellow and almost odorless. Today it is added to pale colored, high-grade varnishes used to protect oil paintings. Mastic is used for gingivitis (inflammation of the gums) and pyorrhea (inflammation of sockets of the teeth) and periodontal inflammations (swelling of tissues holding the teeth in place) to prevent teeth from falling out. It also reduces plaque. It can be chewed or added to dental paste. The leaves and stalks are used in mouthwashes. These methods reduce inflammation and reinforce the gums. 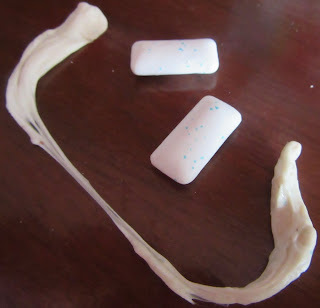 Further, it is mastic gum is thought to be the forerunner of chewing gum today. In Muslim Cordova of the 11 C, court physicians prescribed mastic for stomach and spleen disorders. The Greeks did find that it heals stomach ulcers and used it in cakes, cookies, liquors and candies. Since it has been found that it helps protect the stomach against bacteria and fungi, especially H. pylori, a bacteria that lives in the mucous of the stomach, which can lead to the growth of ulcers. It is taken not only to prevent ulcers but to relieve existing ones and other stomach complaints. 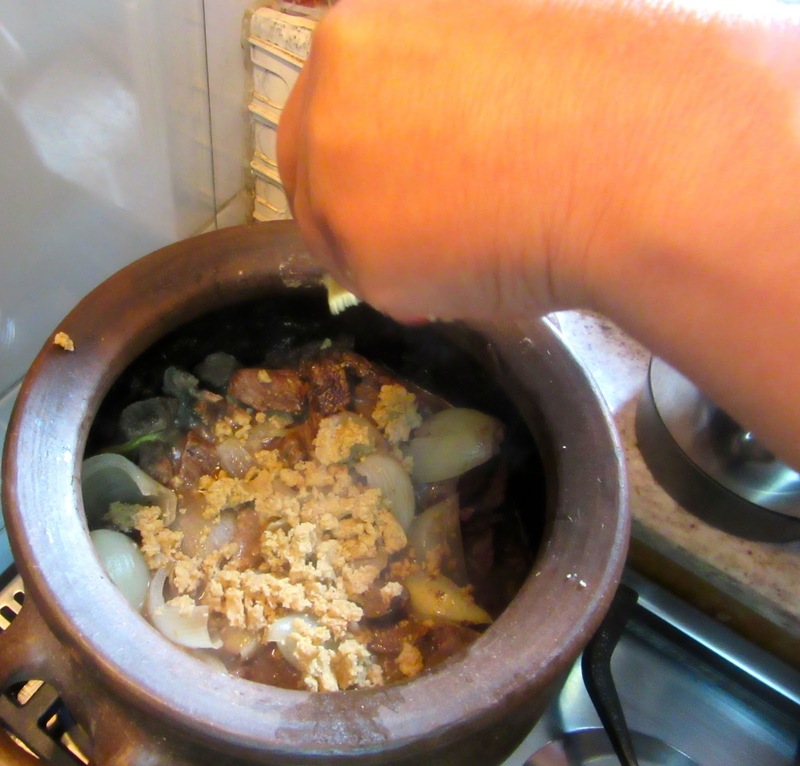 As mastic is aromatic, Moors and Christians in Spain added it to various dishes in cookery. The most popular dish in which it was used is mishmishya, lamb cooked with apricots. Ibn Razīn used it in couscous with lamb, baked fish and stuffed eggs. Anon al-Andalus uses it in dishes for meats and fish, and in sweets, drinks, syrups, electuaries and powder. Whether or not it was used in English cooking is dubious due to medieval spellings. There is total confusion as to whether recipes call for mastic or mace misspelled. See alcornoque and encina. Chop meat for stewing. Heat a pot and add a little olive oil. Add the cubed meat and seal the sides. Put it in a pot. Add mastic, pepper, cinnamon, lavender, garlic, rue, vinegar, oil, salt and onions. Pour a cup of water over this and cook. Put walnuts in a food processor and grind until white. When the meat is cooked sprinkle the walnuts over the mixture. Stir until well mixed. 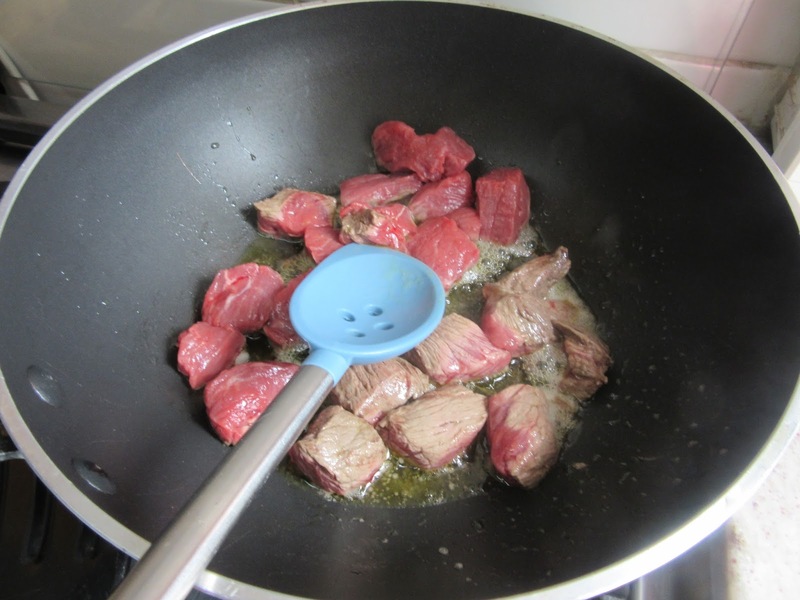 Beat the eggs and pour them over the meat. Remove from heat. Top the mixture with a lid and put towels over that. Let sit until the eggs are cooked. Pour this into a serving dish over walnut leaves and garnish with pepper and spices. Serve if it be the will of God. They were not used as they were not available.